the search for an Ambassador. phase of Gospel Music all over the world true this platform. 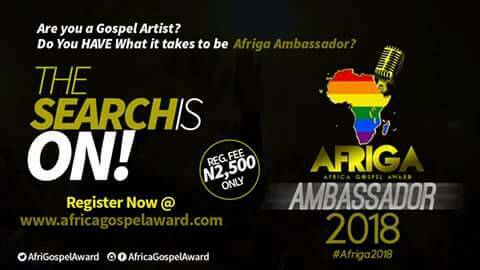 The search for Africa‘s Gospel Award Ambassador 2018 has began by the special grace of God. First of its kind in the gospel award revolution. 1 Track Studio Recording with any Nigerian Gospel Artist of your choice.